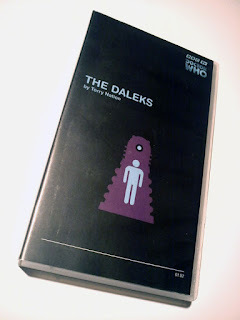 Dive once again into the video vault to recover tthe lost war on Skaro. A moment in television history, the first ever appearance of Terry Nation and Raymond Cusicks infamous creation - The Daleks! So we crack open the VHS box and load up the tape. 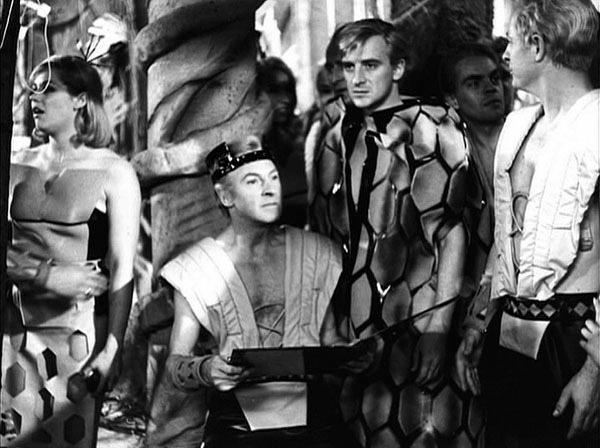 What we get has shades of the Buster Crabbes Flash Gordon (which was broadcast at 6pm on BBC2 through the 80s) Perhaps it's the black and white, low budget sets, the peculiar costume and set design, the lantern-jawed leader of the Thaals, but it would come as no surprise that Skaro was in fact under the rule of Emperor Ming and any moment Flash and Dale are about to appear to unite the inhabitants against their Merciless tyrant. The Daleks are far more vulnerable and human than other versions of the creatures. Scarred and mutated beyond all recognition they trapped inside their defensive metal cages. unable to wander outside their metal city (they move by electromagnetism), driven to paranoia and an acute distrust of outsiders by the horrors of the wars they have witnessed. They do not kill or 'exterminate' everyone on sight, but temporarily disable their enemies. 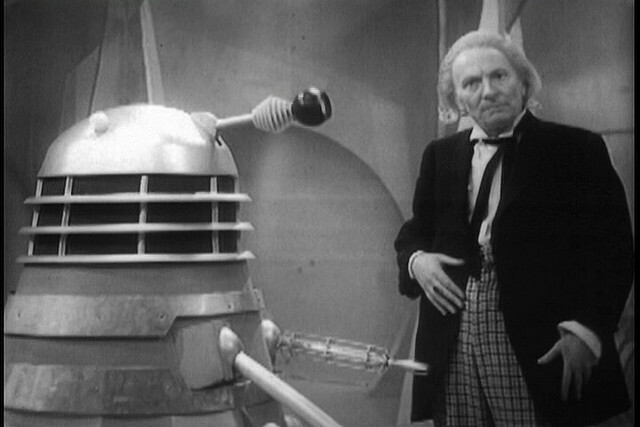 The Daleks seemed eminently sympathetic in their plight, if somewhat alien and inhuman in appearance. The Doctor on the other hand comes across as a selfish fool, faking a broken Tardis as his curiosity gets the better of him wanting to explore the Dalek city (knowing nothing of its inhabitants or worrying about it's potential dangers) It falls to his companion Tom to take the 'hero' role, both being the victim of the Daleks malice, risking his life inside a Mk. I Dalek Armour and eventually motivating the Thaals to action. The Doctor and a Dalek. From reading various fan reviews, I'd been expecting the production quality and acting to be much more amateur than it actually was, but then my tastes do lean towards low-budget black and white stuff, so it's not a 'shock' as it might be to others. The Sword and Planet atmosphere, the Doctors amorality, the unpicking of postwar responses to fascism, the attention to alien architecture in set design - everything is 'Dalek height' - humans constantly have to stoop - all works to build a really nice piece of period sci-fi. 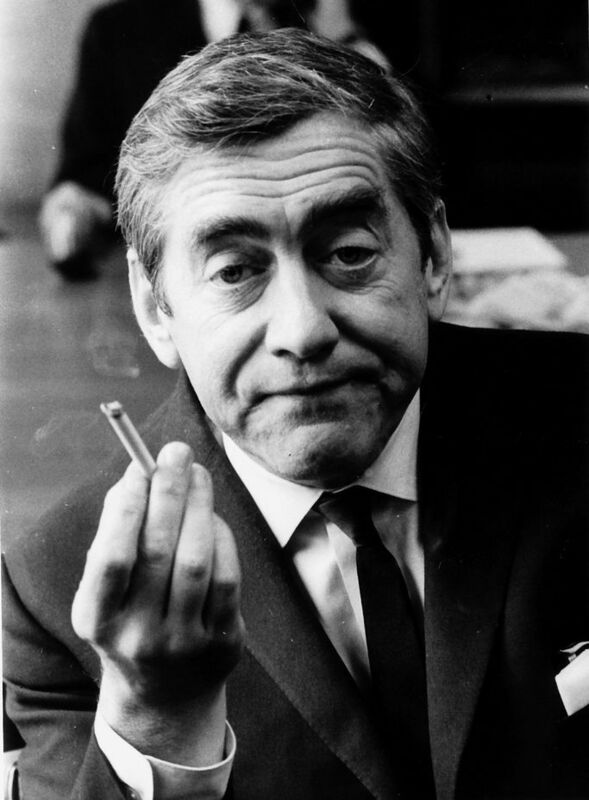 Terry Nation had been working with the comedy genius Tony Hancock and it's hard not to hear Tony's and his ex-co-star Sid James voices coming through some of the dry banter when the Thals are discussing the pointlessness and futility of taking action, adding to the humanity and warmth of the piece. Hancock apparently claimed he invented the Daleks - I expect this was a jest. Yet if 'The Lad' were to have defended the drawing room of 23 Railway Cuttings, East Cheam, against post apocalyptic mutant robots from the future, the down at heel, domestic ridiculousness of a robot that looks like an upside-down dustbin with a sink-plunger wiggling out of it would have suited his style perfectly. So who knows, certainly in this parallel universe / pocket timeline, he did. "That bloody Nation—he's stolen my robots!" N.B. At the time of pressing publish, BBC radio 4 extra are broadcasting the first series of Big Finish's Fourth Doctor Adventures starring Tom Baker and Louise Jameson - well worth a listen, as of course, is the classic comedy series of the true Projenitor of the Daleks, Hancock's Half Hour also playing on the eternal repeats engine. Auroch Digital are back - expanding the Chainsaw Warrior Universe with Chainsaw Warrior II: Lords of the Night, for Mac, PC, and other devices. 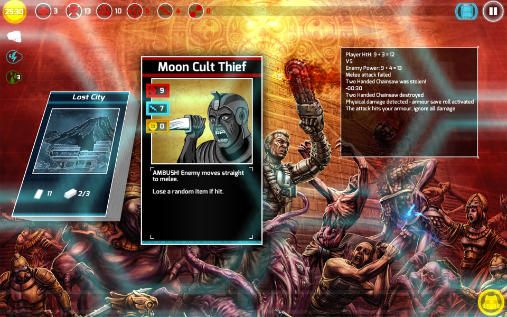 The game features the same, familiar, card based exploratory mechanic as the original board game and digital conversion. You tool up your Warrior and send him out to destroy the BBEG. There are some nice improvements to the UI, the menu system is clean and functional, with a nice glowy-edged sci-fi feel. 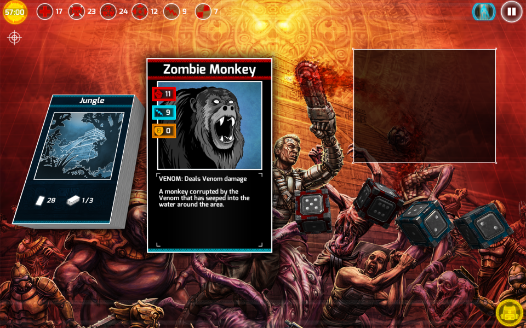 Retro-ists are going to miss Dave Andrews original card artwork from the boardgame, but the updated digital drawings are effectively grotesque and fun. So what's new? Well firstly the setting, Chainsaw Warrior's (CWI) environment - a huge ruined municipal building in the center of New York expressing its dark vision of decaying Urban Modernity is gone. Instead Chainsaw Warrior II (CWII) airlifts us to an Aztecian Wilderness of Ancient ruins and steamy jungle. 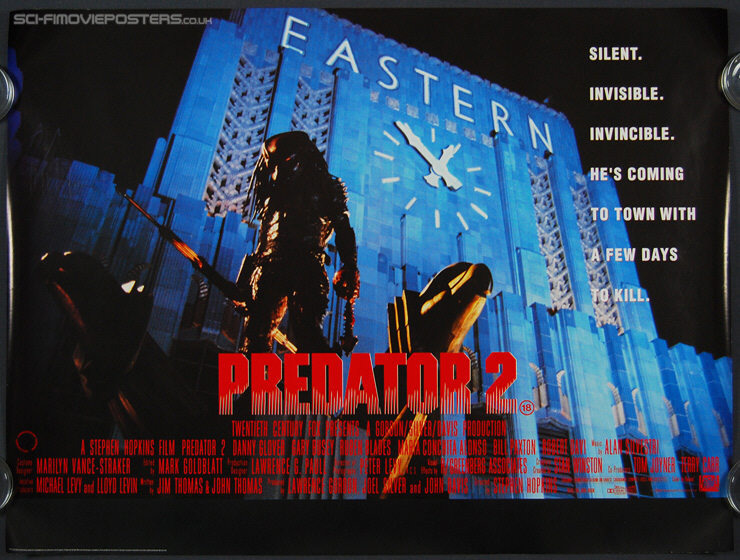 It's almost like an inverted trajectory of the Predator movies - the concrete jungle rambles in contrast with it's organic counterpoint. The sequel placed alongside the original surfaces a set core of semantic dualities, built environment / wilderness, modern / ancient, technology / nature, superstition / science. ...and it's that metaphor, expressed by Nicol Williamson in John Boormans Excalibur - of the forest as a model of the mind that I'm going to pull out of the toolbox, like a trusty claw-hammer to bash this thing with. In CWI enemies may be read as overcoming the physicality of the character taken to distorted, mostly man-machine, cyborg organism extremes. These exaggerated versions of CWs technologically augmented physicality, be they military zombies or metal-fused agents of chaos, trapped inside a steel and concrete edifice. Paleonmamillian Brain - limbic system - emotions, social bonding, nurturing. Neomamalian Brian - reasoning, intellect. The Crocodile is most obviously symbolic of the reptilian, lizard brain - which at it's simplest drives the fight-or-flight responses. Indeed for most the game, CW must wade around in the lower-depths of his consciousness in response to his environment - it's the first option given to any encounter, fight or escape. CWII hacks into the reptilian level of consciousness, a dice rolling, card tapping, a meditation, not quite monotonous, the pitch and rhythm rises and falls as the player shifts through the deck. The lizard brain, with it's closeness to the central nervous system, controlling the autmotaic responses is also characterised with ritualistic and repetitive behaviors which is evoked by the reptilian symbols and fight/flight levels of interaction. We can also consider the multifarious zombie-mutants as symbols of the reptilian level of consciousness, as they take on biological, natural aspects of reptiles - with their elongated crocodillian mouths, acid spitting and venomous bites, they are humanoids ("like us") who are redefined by their lizard-brain nature, unable to think beyond simple desire to kill or be killed, and in return the Chainsaw Warrior can only respond in these terms, a cold-blooded killer admists the cold blooded deadites. In one odd example there is a mutant zombie with Spider - which whilst not fitting the triune brain model - there is no "arachnid" brain in MacLeans model, but nontheless it does serve to underline the bestial, animalistic nature of the enemies. As we move up the evolutionary ladder out of the lizard infested swamp of prehistory, Chainsaw Warrior begins to interact with mammalian creatures, as symbols of the more complex parts of the brain. The mammalian brain, is most readily symbolized by The Jaguar, with its nurturing, play instinct. Critically CW often encounters the Jaguar as a parent, defending her cubs from his petrol-driven tree-cutter. In a recent update to the game, the CW can actually befriend a Jaguar and have it fight for him, again helping underline the bonding and parental behaviors that show the psychologyof paleomamillian psychology at work. There are several other enemies that operate in "packs" preying in social groups or cultic cells, and CWs heavy weaponry is useful in removing them in one go, one successful blast from a flamethrower or rocket launcher can blast them all to hell. The herding instinct displayed by many of the animals and cultists directly contrasts CWs loner status and underlines the socialising characteristics of the mammalian brain as being abhorent to the single minded, sociopathic CW. However, encountering pack animals also invokes strategic decision-making. Should CW spend limited resources by using heavy weapons, or expend time to remove them individually? CW is no longer able to rely on the simple, instinctive reptilian brain-work of fight or flight responses, but to make decisions based on the higher human faculties - logic and reason. Thus the paleomamillian stage of evolutionary conciousness provides a stepping stone to achieve 'strategic thinking. As the seat of religion and faith is characterised as a function of the Mamillian Cortex, in MacLeans model, religion is little more than a form of social glue, designed to make one feel better about ones place in the world. In the world of Chainsaw Warrior, it appears religions and their cults are the result of supernatural beings power over nature - CWs ultimate mission is to defeat a supernatural evil who threatens the world. The symbols of evil - the Moon Cult, the Darkness - this supernatural evil is little more than a childish the fear of the dark (actually quite rational fear, as the bruise on my knee from the mis-navigating around coffeetable after switching the light off in the livingroom proves) being given animate, supernatrally cosmic proportions. As CW seeks to ultimately annihilate these superstitious, 'magical-thinking' elements in order to emerge as a being of pure material rationality. However, CW's mission to exert control over his subconscious animalistic instincts, and achieve rational mindfulness isn't all it appears to be. Once out of the first deck - the jungle, CW can occasionally discover and choose to enter abandoned shrines to ancient gods. If he does so, and succeeds in defeating the Guardian he can gain a 'blessing' - which will improve his chance of survival. The Guardians themselves are a tougher than normal opponent who will grind resources. It's a strategic decision, requiring logic and reasoning - the most evolved state of conciousness. That these encounters can only appear after the primeval jungles that characterises the earlier stages of the game, does reinforce a kind of evolutionary system at work. 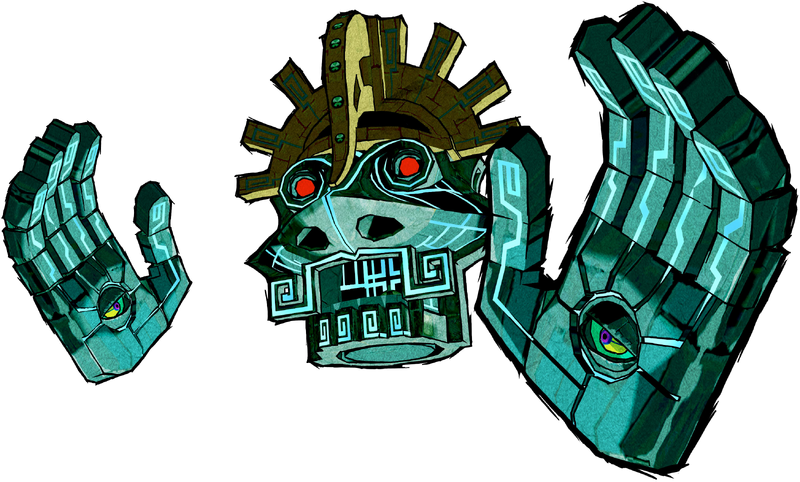 One of the Temple Guardians is a beast that strongly resembles Ghodan from the Gamecube classic Zelda Windwaker (which I'm currently playing through with Little Zhu, so immediately came to mind. The Guardian enemy in CWII has a similar strategic hierarchy to Ghodan, destroying the hands first makes the head weaker. Animated by supernatural forces and tied to tactical decision making the Guardian stands on the threshold of the animistic and rational, human thought. 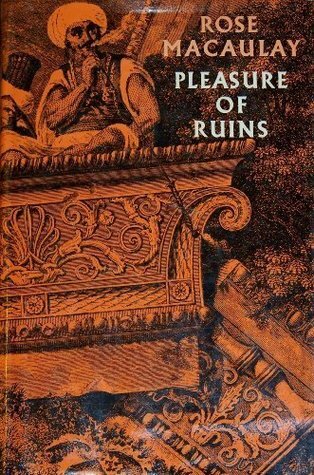 The Temples also give us of a Campbellian heroes journey where the protagonist must descend into the underworld, retrieve his 'boon' and return - itself influenced by Jungs alchemical model of psychological processes - delving into the subconscious to receive inspiration. The expression of this mechanism - the temple - a site of archaic religion, posits that the CW delves down, not only into the earlier evolutionary stages of consciousness, but also cultural time. 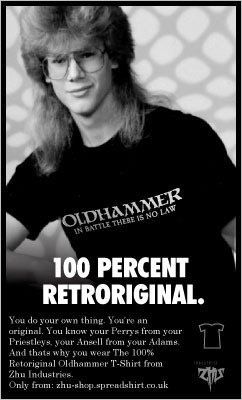 The delving into cultural spaces of the past in order to return empowered and enriched, is of course, metaphor par-excellence, almost the central, defining myth of the retro-gaming scene - the past is a foreign country, we like to kill it's inhabitants and steal it's stuff. In a similar vein to the helping of the ancient spirits in forgotten tombs, weapons caches are parachuted down, literally "gifts from above" randomly distributed gifts from unseen hands in the sky. CW1 just looted corpses, failed attempts at stopping the Darkness (or, perhaps, time-locked karmic bones files) The appearance of external aid, in the form of the spirits of the ancients and random military airdrops, makes the world of CW2 slightly less dark and unforgiving place than that of CW1. Perhaps MacLeans model would remind us that the idea of aid from quasi-religious sources is naught but a form of superstitious paternalism, caused by our earlier evolution, which the cold logical strategic CW should seek to destroy in order to impose order upon his conciousness. Or perhaps CW2 seeks not just to repress the evolutionary stages of consciousness through acts of violence, but to reintegrate the positive elements of these stages of his neurology into a coherent whole, and ultimately bring all these aspects of his psychology into balance. Our chainsaw wielding psycho can be read not just as a re-integrative evolutionary psychodrama, but also as a post-colonialist myth, symbol of The West - pillaging the culture and history of the exotic South for his own gain, deforesting vast tracts of rainforest with his trusty chainsaw, slaughtering wildlife and the superstitious, inhuman natives alike, stealing the lore of long forgotten gods without reverence, seeking only to use their power for his own ends. A technological aberration sent to destroy nature, magic and history in order to save his Imperialist masters orderly materialist view of the world against the animalistic incarnations of unreason, to steal the gold from the foreign gods and prevent night falling forever on the thin veneer of civilisation that CW is the product of. On first playthrough I managed to meet the end of game boss monster - The Darkness - but had broken the one weapon required to destroy it, then subsequently failed to punch Darkness in the face, as one of the unlockable achievements suggests. 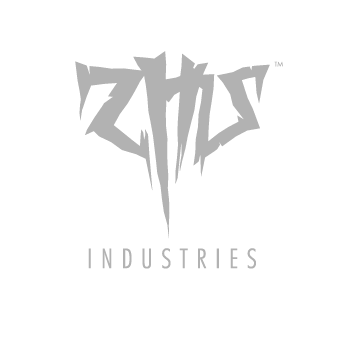 The game is still difficult, but overall, the mood is more hopeful, upbeat, more positive than the doom-laden cybernetic death grind of CW1, if just as bloodthirsty. 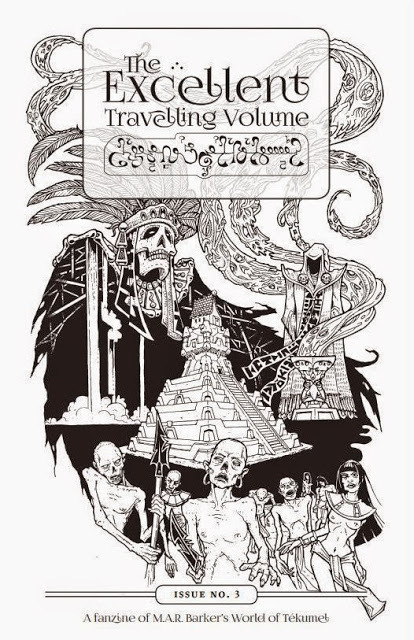 James Maliszewski's Excellent Travelling Volume - A Fanzine of M.A.R. Barkers Tekumel Issue #3 is available now. This issue features a cover The River of Silence, inspired by one of M.A.R. Barkers scenario seeds published in The Empire of the Petal Throne, drawn by myself.